A contemporary interpretation of a classic 1960s Fiber Craft design, the Native SUV (Sportsman Utility Vessel) truly stands out from the poling skiff crowd with its distinctive bow and gently curved sheerline. Also reminiscent of the graceful old Challenger skiffs, the Native SUV has hardened those boats’ rounded chines to improve stability and dramatically lightened their layup to reduce draft. Both the 14’8” and 17’2” Natives share a 68” beam and a sharp entry that eats chop when trimmed down. Both also taper to a flat bottom at the transom, which, coupled with their light weight — just 325 lbs. for the 14’ and 400 lbs. 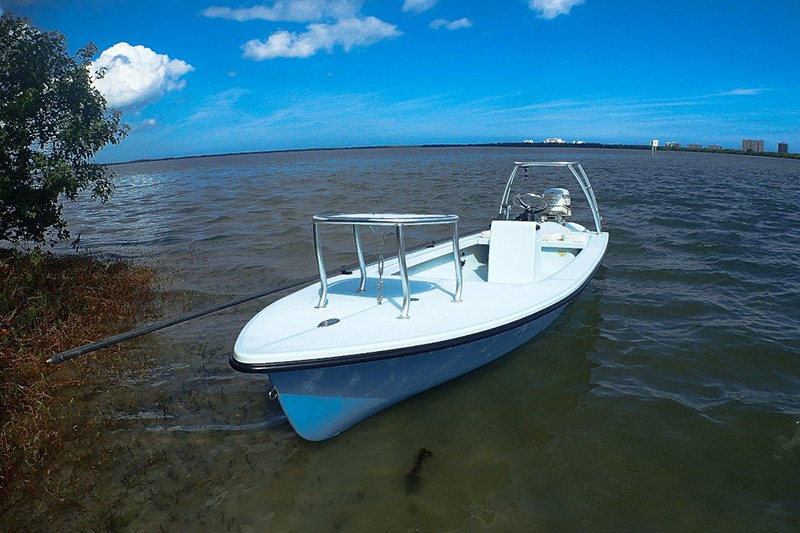 for the 17’ — makes for an exceptionally shallow draft. With its higher freeboard and slightly upswept bow, the Native isn’t as pure a poling skiff as the lower-profile Copperhead, but it still holds its own against anything else on the market while also offering improved rough-water capabilities. Of particular note to anglers who often fish solo is the fact that this hull also poles extremely well from the bow. Fully customizable, either Native SUV can be built with a tiller, center, side, or offset console; a single or twin stern hatches; an open forward bulkhead or bulkhead hatch; and many other options — all at a very affordable price. 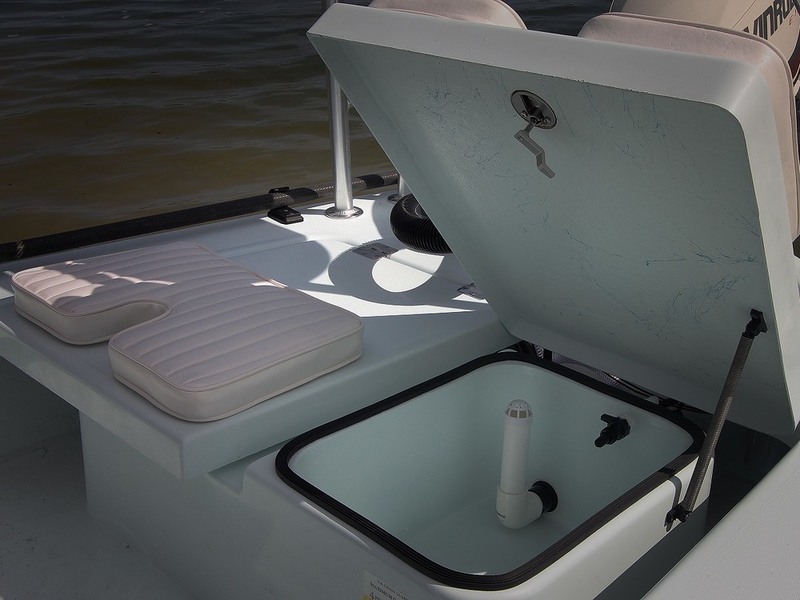 The 17' is available in Tournament Edition with forward bulkhead hatch, twin aft hatches, a ready-to-plumb 20-gallon livewell. The Backcountry Edition foregoes the twin aft hatches and livewell in favor of a single large storage locker aft. Hull weight: 325 lbs. / 400 lbs. Capacity: 425 / 585 lbs.